The leader-ender inspired by the recycled sashing from my aunt’s dogwood quilt has already been turned in at my guild as a community service quilt but I forgot to post the finish. I rather liked it. Here are front and back. The red, white and blue half hexagon that is going to my cousin is finished except for the label which will go on before mailing. My mom hand quilted around the hexagons and hemmed the binding. 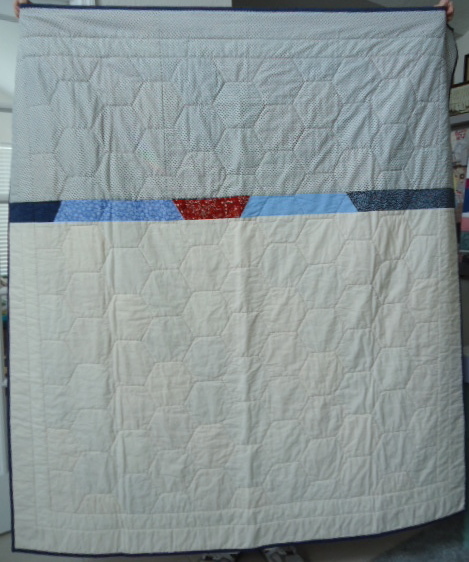 This entry was posted in community service quilts, family and friends, hand quilting, hexagons, leader-ender, machine quilting, quilting and tagged community service quilts, family and friends, hand quilting, hexagons, leader-ender, machine quilting, quilting. Bookmark the permalink. Gilly, you have such a good soul. 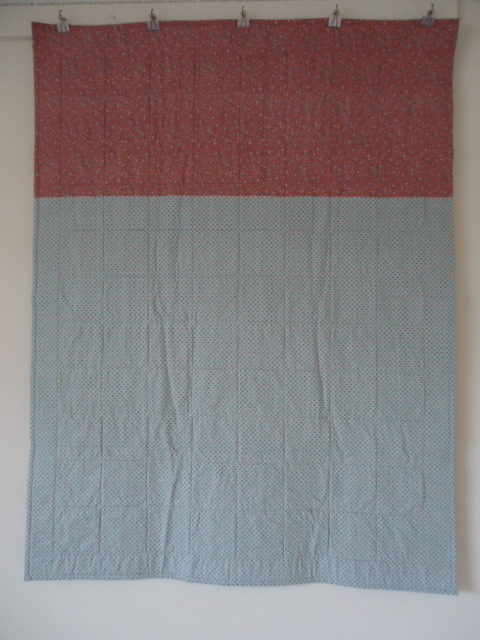 I love the colors and how they blend so nicely in the first quilt. How perfectly lovely that you and your mom can work on a quilt together! Nice job(s). 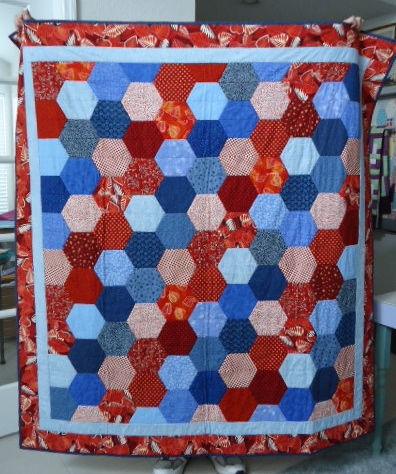 I particularly like the back of the hexagon quilt. Fun and sneaky feeling. Hi Carol! I just nominated you blog for a “Liebster Award”. 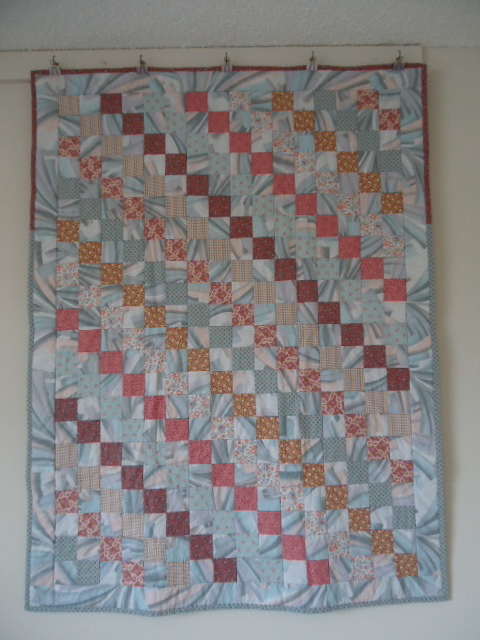 Visit my latest blog post at http://www.quiltcrossing.blogspot.com to learn more about it. Congrats upon your receiving the “Liebster Award”. Thanks to qlt xrsng for the acknowledgments & nod. Terrific! What a great post to read after a week away from my computer.